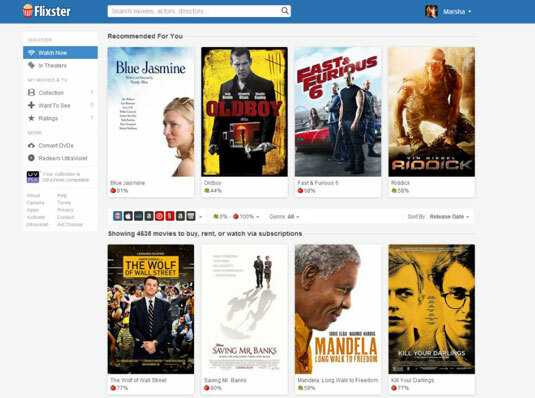 Flixster is a social site where you can read movie reviews on Rotten Tomatoes, get local movie show times, watch trailers, and post your own comments about films. 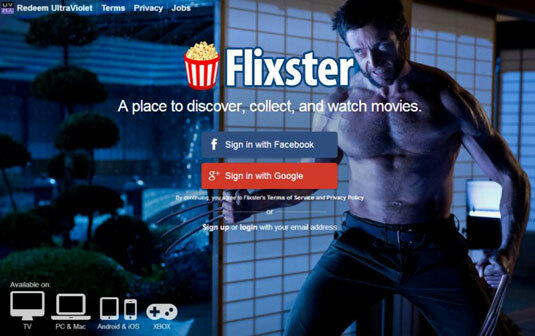 1Go to the Flixster home page in your browser. You must sign in before continuing to the site. 2Sign up on the site with your e-mail address, or through your Facebook or Google accounts. You may then be asked if you’d like to install the Flixster app on one of your mobile devices. You can click No Thanks and install the app later through the App or Play Stores when you’re sure you want it. 3Open or sign in to an existing UltraViolet account. What’s this? UltraViolet is a cloud-based library of movies or TV shows that you’ve purchased on many platforms — including Barnes and Noble. Once you join UltraViolet, your movies are accessible from any Internet-enabled device. Basically, it’s buy once, play anywhere — and you can share with up to other five people. It seems you have to sign up for it to enter the site. 4To get to the various locations on the site, use the navigation links on the left of the Flixster home page. Also on the navigation bar, you get a search box where you can replace the Search movies, actors, directors text by typing the appropriate title or name. Then click Search. 5Clicking any film’s mini poster takes you to the film’s hub page. In the middle of the page is the area where you can click Icons to find films that are streaming on the popular sites: Flixter, iTunes, Vudu, Amazon and more. The hub page includes a trailer, a list of sites where the film is available for streaming, reviews from published critics, and comments left by members of the sister site, Rotten Tomatoes.